Appreciate the beauty of the limited edition heinz cans and bottles launched on Heinz 150th anniversary. I adore ketchup. And, I know, I’m not the only one. 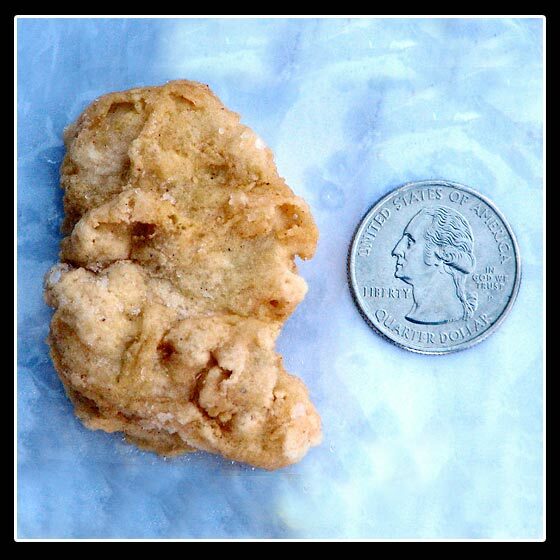 As per a survey, Americans spend billion dollars every year on this most adored relish. Ketchup is A big thing undoubtedly! 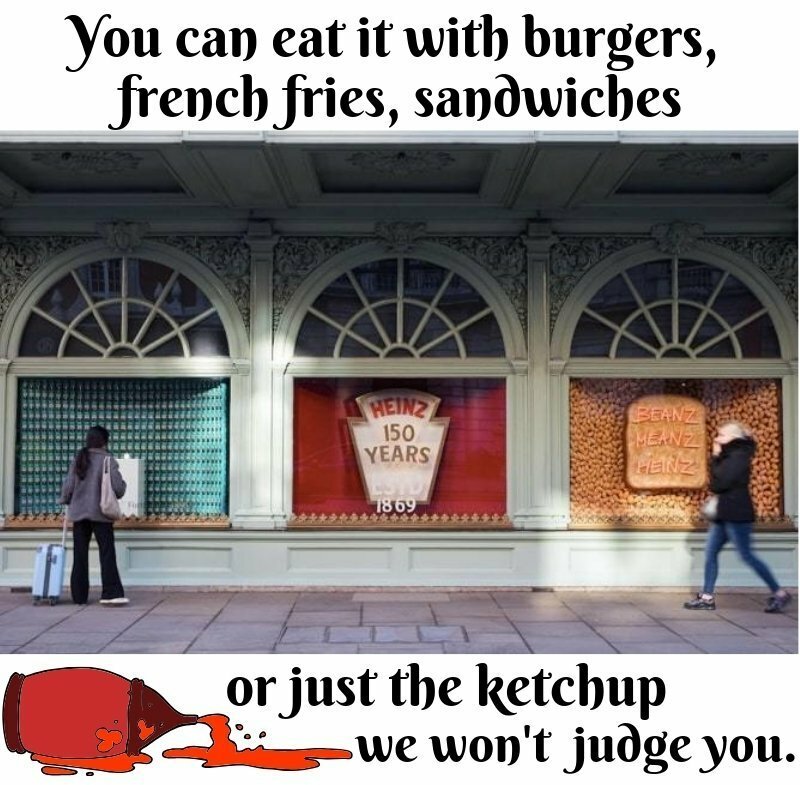 And we all know Heinz ketchup is a star among the ketchup lovers. The company is famous for supplying healthy, tasty and quality ketchups. Not only ketchups but baked beans, soups and many other products as well. 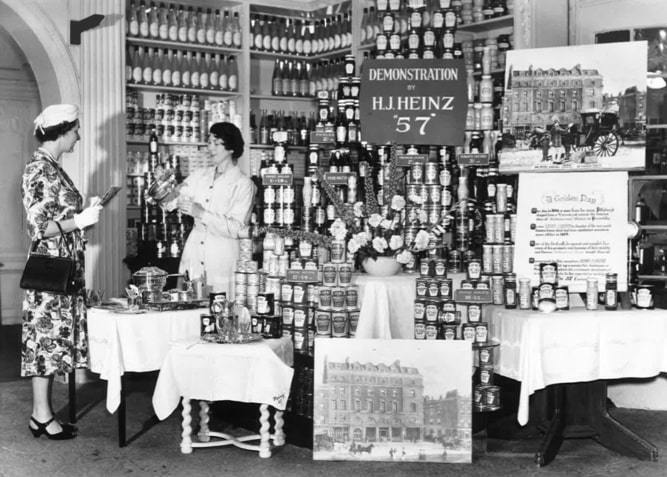 It’s difficult to believe it, Heinz is celebrating its 150th anniversary. Heinz Tomato Ketchup has been a staple food in every family for a long time. Heinz products increase your dining experience. The products are loved by people of every age. Let’s learn something about Heinz! Heinz company was established in 1876, even before the light bulb was invented! 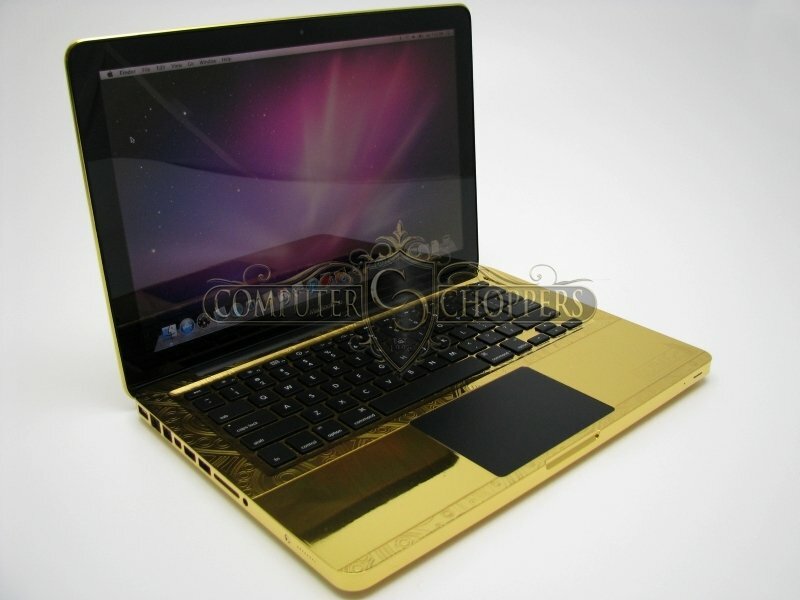 The organization produces a large variety of items and cover almost 80 percent of the world’s nations. A special window display the love of Fortnum for Heinz company. 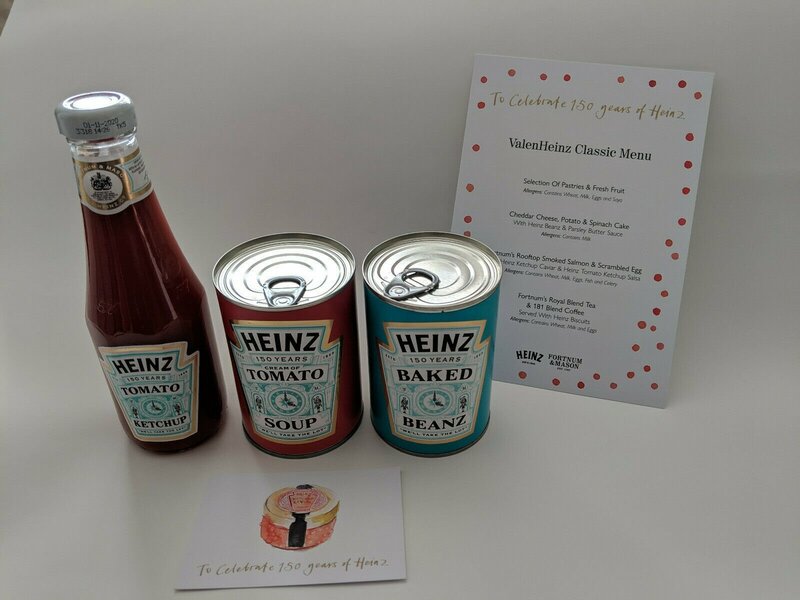 And now on its 150th anniversary, Heinz has collaborated with Fortnum and Mason to celebrate its achievements. The limited edition Heinz bottles was launched to celebrate Heinz’s 150th anniversary. But why Fortnum and Mason? It’s because Fortnum and Mason are their first since forever UK stockist. They have sold Heinz products since 1886. And till now they are proving their loyalty with Heinz. 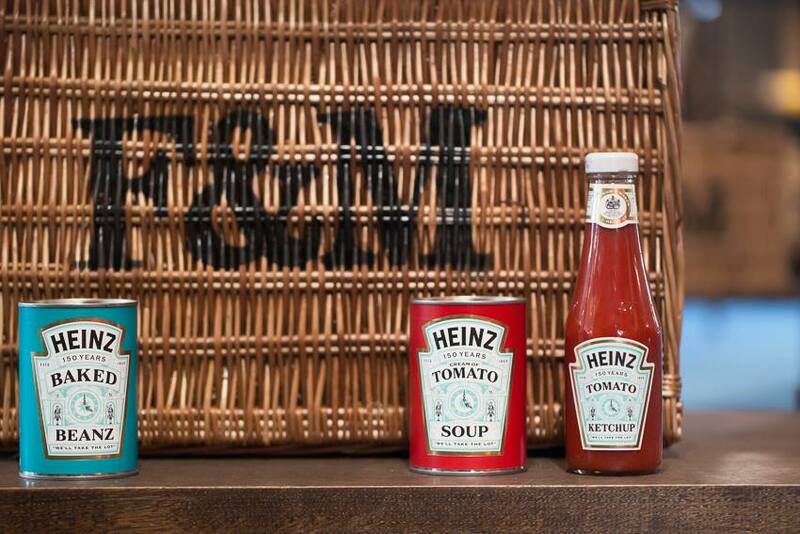 Fortnum and Mason are Heinz first ever UK stockist. On Heinz 150th anniversary, they have released the limited edition Heinz bottles and cans. There are Fortnum-themed tomato ketchup, baked beans and cream of tomato soup on the sale. The labels of the cans and bottles looks quite vintage. 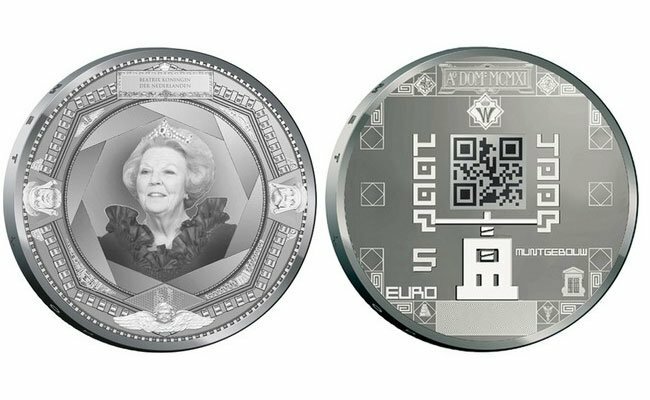 It features the clock from the Piccadilly flagship. The Limited edition Heinz bottles and cans looks stunning. The Eau de Nil color matches pleasantly with the natural tone of Heinz’s benchmark. These Limited edition Heinz bottles and cans looks stunning. If you are planning to buy these limited edition Heinz bottles and cans, you need not have to worry about their price. The price is quite reasonable. These limited edition Heinz bottles and cans are available on sale at Fortnum and Mason. 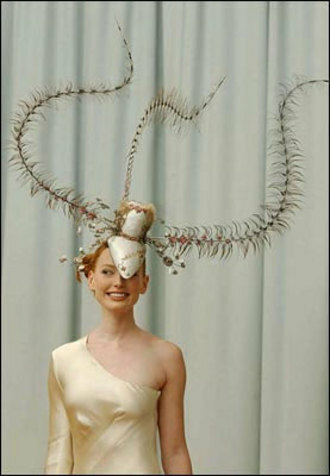 You can buy them online as well. So come on Heinz lovers! Go out and buy these limited version Heinz cans and bottles. And feel the nostalgia and adore their vintage appearance. Real luxury is having the time to read endless stories in bed with my children. And I get that all the time. I’m so blessed.